Another supermarket has been ram raided in Sheffield in the latest of a spate of similar incidents in the city. McColl’s on Margetson Crescent, Parson Cross, was targeted at 11.30pm, with local residents finding the front of the store severely damaged this morning. Repairs are being carried out while a police investigation into the incident is under way. A black Peugeot 207 was used by the raiders, who have not yet been caught. They tried to steal cigarettes but fled empty-handed. CCTV footage of the incident and from cameras across the city is being reviewed. Nobody was in the shop at the time of the raid. 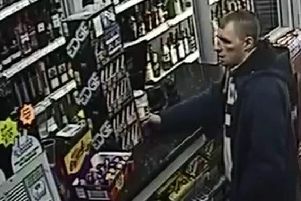 There have been a number of similar shop attacks in Sheffield this month, with the Heeley Green Co-op on Gleadless Road targeted in the early hours of Sunday, February 17. A grey estate type car smashed into the shutters – breaking the glass windows behind – but the crooks involved failed to gain entry to the store. Raiders struck at Asda on South Road, Walkley, on Wednesday, February 6 and five days later theTexaco garage on Burncross Road, Chapeltown; Tesco on Dykes Hall Road, Hillsborough and Spar on Pot House Lane, Stocksbridge, were targeted in the space of a few hours. Attempts were also made to ram raid Screwfix in Hillsborough and Tesco on Herries Road, Southey, earlier this month. The Co-op on Oldfield Road, Stannington, was also broken into along with Tesco on Infirmary Road, Upperthorpe. Anyone with information should call South Yorkshire Police on 101 and quote incident 1,017 of February 27.